When people from upstate South Carolina need legal advice or representation for a variety of Family Law and other legal matters, they have an excellent professional resource in Greenville, SC. McManaway Law, LLC is always ready to provide the high-quality, experienced legal assistance they want. Attorney Karen R. McManaway has an excellent reputation for working closely with her clients to help them successfully resolve simple to complex legal matters and disputes. Focusing on families since 2007, McManaway Law, LLC primarily serves people from upstate South Carolina with comprehensive legal advice and representation in the areas of Family Law, Estate Planning, Personal Injury Law and Elder Law. We have the experience and knowledge to get to the heart of legal problems, and we know how to present a thorough and detailed case in hearings, mediation talks and in the courtrooms of South Carolina. Karen McManaway is the sole practitioner at McManaway Law, LLC where she practices family law and personal injury law. 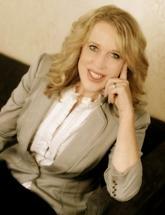 Ms. McManaway is a Certified Family Court Mediator. She is a member of the South Carolina Association for Justice. South Carolina Bar Association, Greenville County Bar Association, South Carolina Women Lawyers Association (retired board director and regional representative). The American Institute of Family Law Attorneys selected Ms. McManaway as one of the “10 Best Female Attorneys” of Family Law in South Carolina. In 2018 she was accepted for the Lawyers of Distinction Award. Ms. McManaway is retired from the Greenville County Board of Zoning Appeals. She earned her B.S. degree from the University of South Carolina and J.D. degree from the Florida Coastal School of Law. She earned a Masters in Environmental Resource Management at the University of South Carolina in December 2017. Ms. McManaway presents CLE’s on Family Law for the National Business Institute. Karen McManaway is now appointed a commissioner for the Greenville County Alcohol and Drug Abuse Commission. In her work as a South Carolina Family Law Attorney, Karen McManaway helps families get past difficult legal issues and family problems that will affect members long into the future. Many people come to her for help with obtaining a Divorce or Separation, but others need specific legal assistance in the areas of child and elder care. She also is a certified family court mediator. People who want legal help from an experienced Greenville attorney bring other legal issues to McManaway Law, LLC in addition to Family Law concerns. We provide guidance and representation to clients who want help with Personal Injury cases, Probate issues, creating Wills & Living Wills and Elder Law matters.